Diana Placiakiene is the owner of Baltic Solutions and Representative of Enterprise Lithuania in California and Silicon Valley. She has lived in San Francisco Bay Area for over 15 years and has a deep understanding of the local business culture. Silicon Valley is well known for its vibrant startup ecosystem, high concentration of the world’s largest technology corporations, top Universities and talent. It’s a leading hub for high- tech innovation and development, accounting for one-third of all of the venture capital investment in the United States. 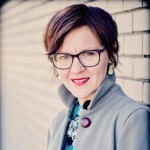 Diana’s goal is to build business relations between Lithuania and Silicon Valley for international business opportunities; introduce LT startups to SV startup ecosystem; provide capital raising opportunities, connect LT exporters with potential partners/ buyers in CA, develop US business entry strategies, assist with international business trips, road shows, events, maintain a solid, local US network including venture capital partners. For over 4 years, Diana Placiakiene has led the San Francisco Bay Area American- Lithuanian Community (300+ members). Under Diana’s supervision, the Community has transformed into a modern, well functioning non- profit organization with strong leadership, great members’ involvement, and exciting projects. She presented a vision to refresh the interest and commitment to the organization and Lithuanian culture by reaching out across the generations. Diana strongly believes in the power of connections and always ready to help with introductions.